Black Scale has risen out of the shadows that inspire its designs, quickly growing a fanbase that has gone from cult to across the spectrum. The label itself is inspired by black magic, satanism, and hard rock, but as the brand has expanded, so has it's offerings. However, it has never lost track of the macabre inspirations that continue to feed into a globally-desired brand. Cav Empt (also known as C.E.) also utilizes the same glitched-out, heavily graphic aesthetic across T-shirts, baggy sweaters, and outerwear. While Black Scale has focused on a primarily monochromatic color palette, Cav Empt has spread futuristic graphics in vibrant colors against muted tones. 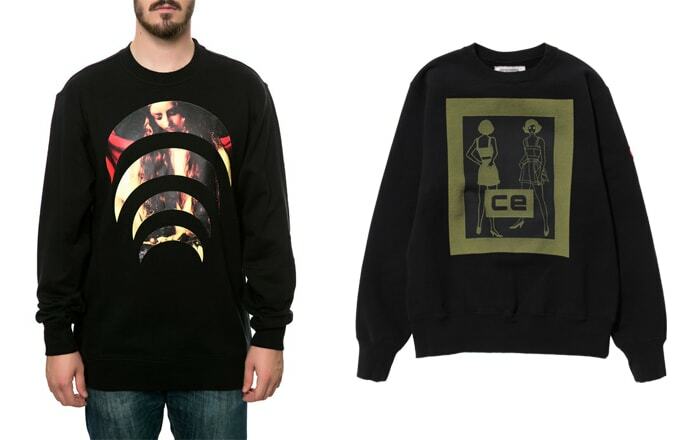 Considering that C.E., founded in 2012, was started by Sk8thing—a graphic artist for such names as Billionaire Boys Club and BAPE—it's no surprise that his own personal aesthetic is leading the way for streetwear brands heading into unchartered territory.